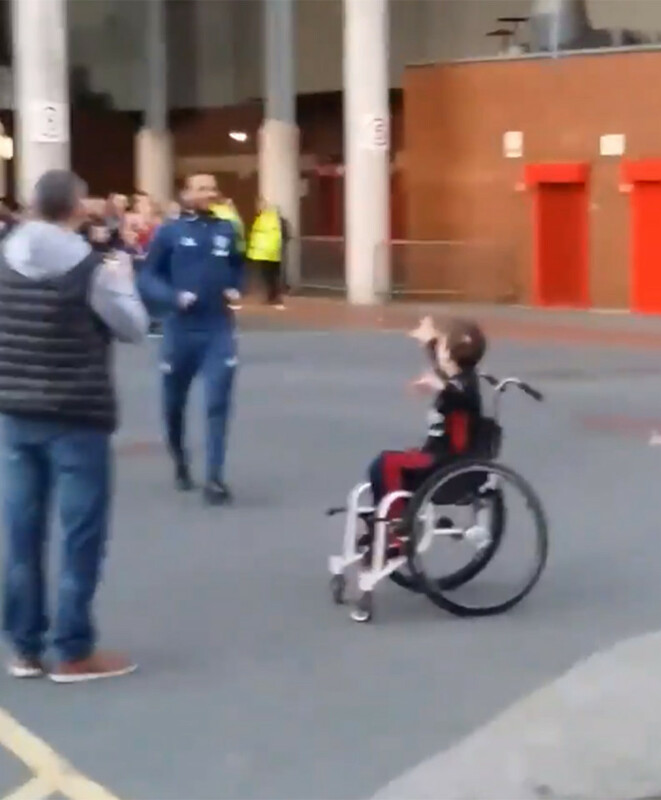 Man Utd’s fan favourite Juan Mata won a million hearts after he posed for a picture with a young disabled fan before United’s 1-1 draw against Stoke City. 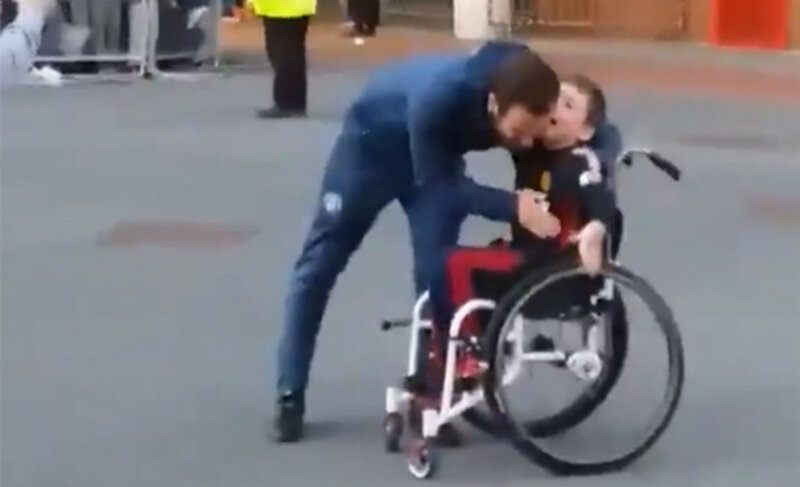 The Spanish playmaker was making his way out of Old Trafford on Saturday evening when he saw a young disabled fan (Alex Nield) in a wheelchair with his father, waiting outside the stadium. 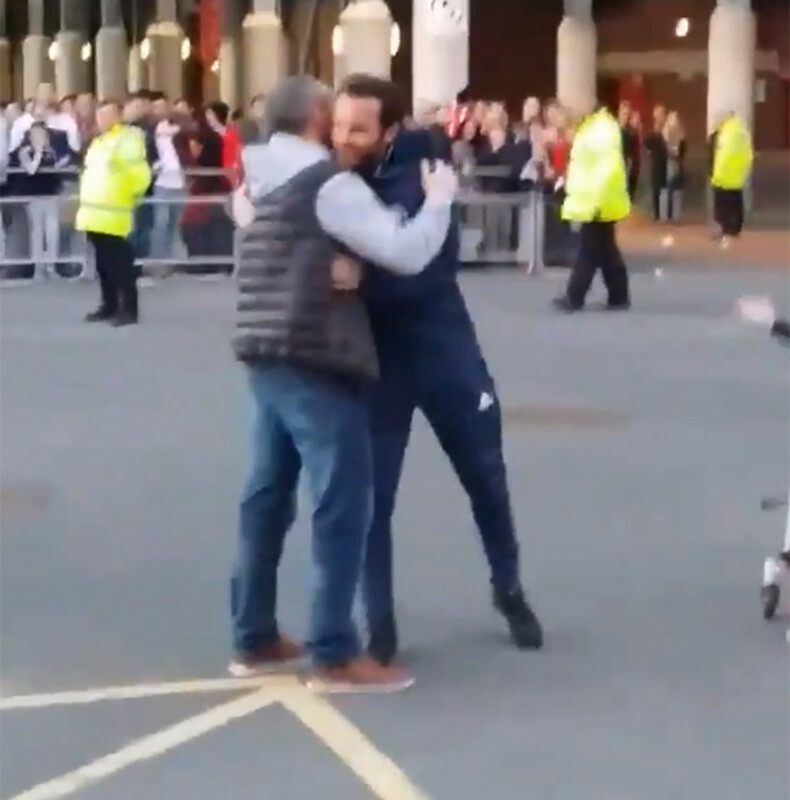 Mata immediately ran towards Nield before hugging him and his father and posing for a snap or two. 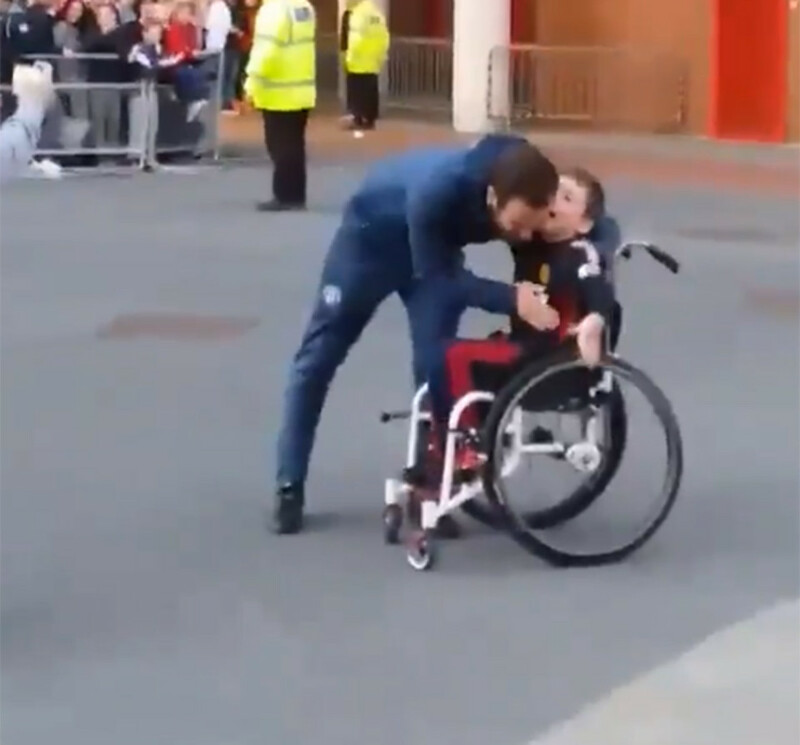 The crowd waiting outside the stadium responded with a thunderous round of applause as they were highly impressed by Mata’s kind gesture. The Red Devils star, who started ahead of skipper Rooney in United’s clash against Stoke City – signed an autograph before hugging them for the second time. After a brief chat with the two, Mata rushed towards his team-mates before leaving for a routine trip to Lowry. However, the clip was originally published on Facebook by user Leon Labko, who stated: “Late afternoon Saturday 1st October 2016.